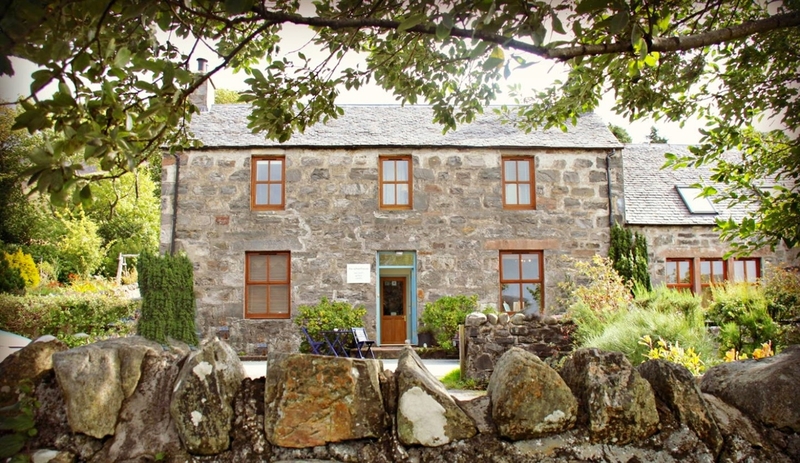 A warm welcome awaits you at the Schoolhouse in Dornie, which is situated on the lovely shores of Loch Long. The self contained wing is ideal accommodation for large families or groups visiting the West Highlands. Four spacious bedrooms all with ensuite bath/shower rooms and a large guest kitchen. Guests have there own private entrance and access to both the rear and front (loch side) gardens. Provisions are supplied for a self catering continental style breakfast. In the main house there is a small gallery featuring original art work and serving coffee.